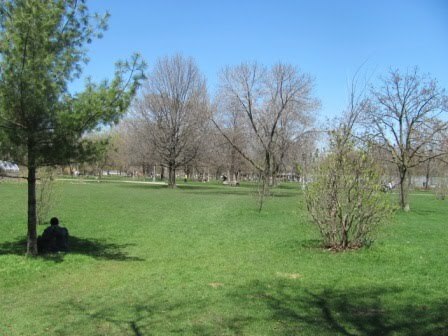 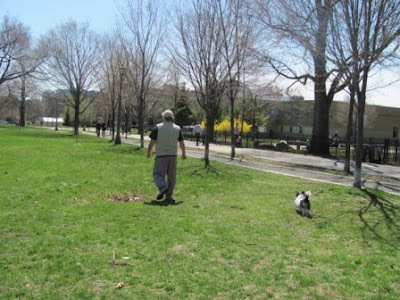 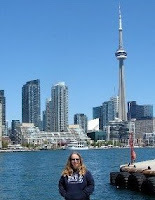 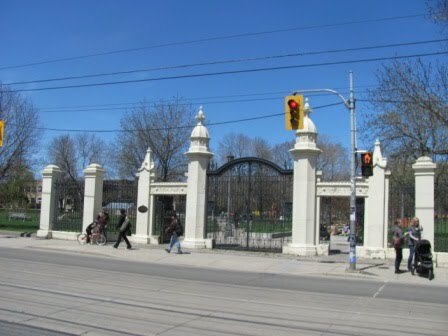 Gord and I took KC for a walk to the Trinity Bellwoods Park this afternoon. 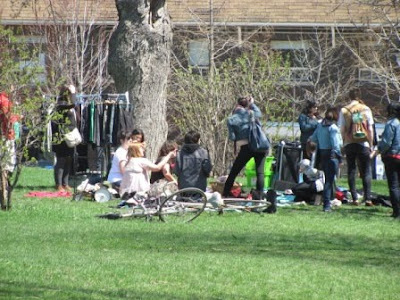 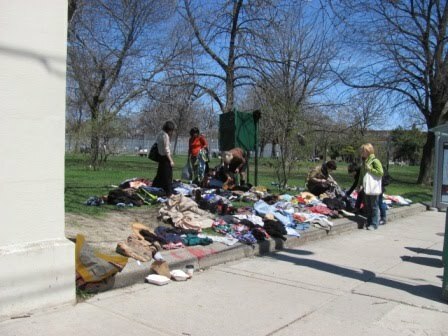 There were a few people selling clothes near Queen Street W.
KC had fun running around! 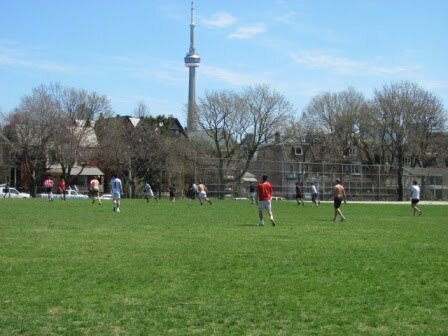 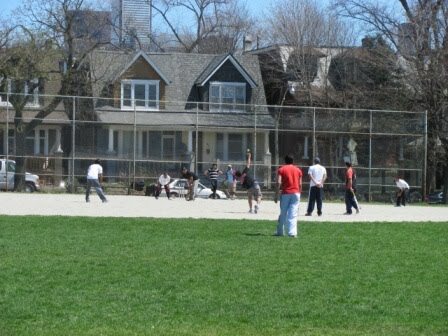 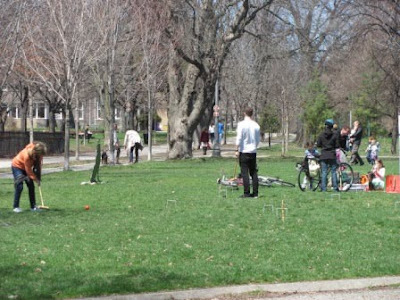 There were lots of people playing in park ... soccer, cricket and even croquet! 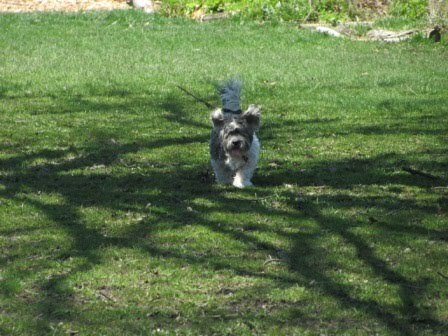 KC had so much fun running around and sniffing! 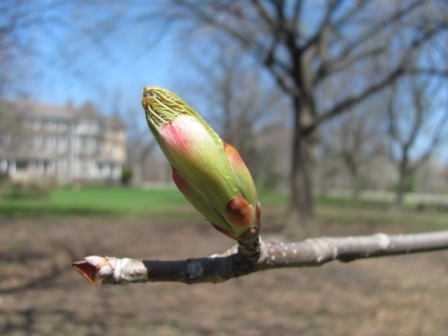 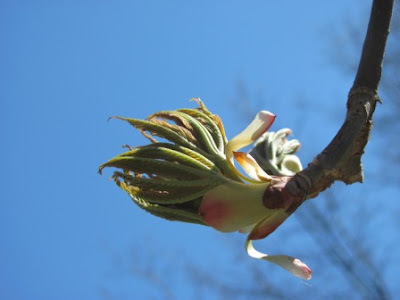 After all our crazy weather, it was encouraging to see the buds in the trees. 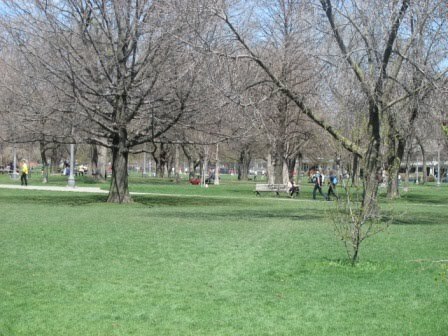 Such a lovely day and a nice day for a walk in the park. These are beautiful pictures, and it looks like a great day! 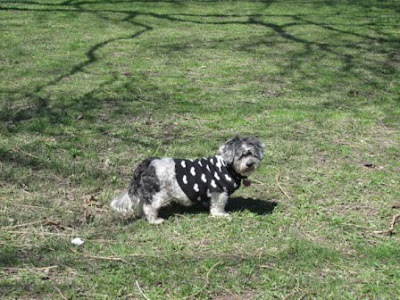 kc's little coat is absolutely adorable!